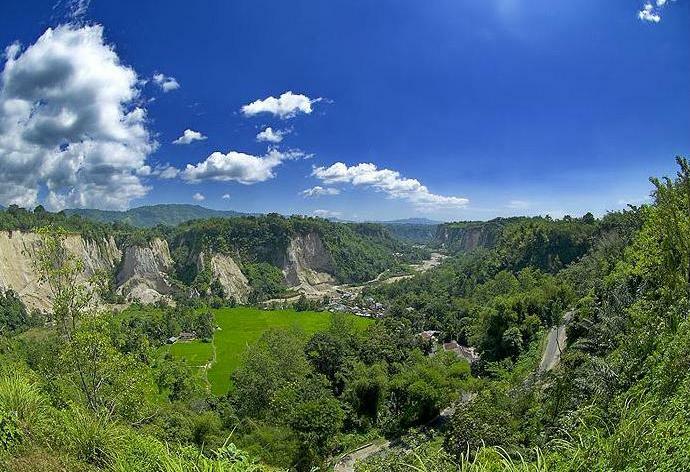 West Sumatra is one of the provinces in Indonesia; it is located on the island of Sumatra with Padang as its capital. As the name implies, this province occupies the area along the west coast of central Sumatra and a number of islands off the coast like the Mentawai Islands. From north to south, the province with an area of 42297.30 sq km is bordered by four provinces, namely North Sumatra, Riau, Jambi and Bengkulu. West Sumatra has a population of 4,846,909 inhabitants with a majority ethnic is Minangkabau who is entirely is a Muslim. The province consists of 12 districts and 7 cities. Located in the village of Cendikar, Three Levels waterfall is one of the mysterious tourist attractions in west sumatera. Why? It’s because not many people know about this place, there’s not much information was also circulated about Three Levels waterfall. Why is it called the Three Levels waterfall? Because this waterfall has three stories high, not everyone will be able to enjoy all three levels for the journey to the third level is pretty heavy, you have to even crawl because of the slippery and steep environment. 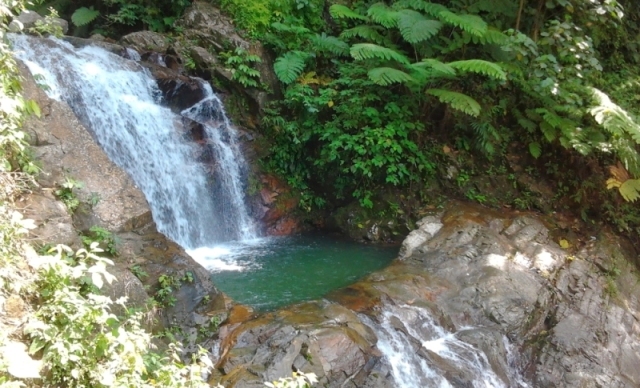 Three Levels waterfall is very suitable sites for nature and adventure enthusiasts. 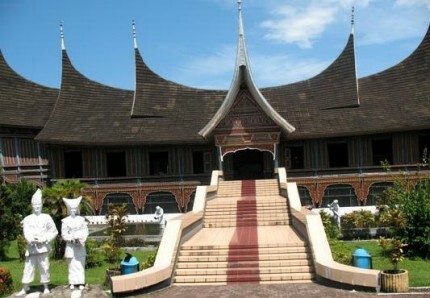 Adityawarman Museum is the most famous museum in west sumatera. The museum was built in 1974 and already become an icon of west sumatera, also has become one of the popular travel destinations in Padang. The museum which is located on the land area of 2.6 hectares is the place to store and maintain various types of historical objects of west Sumatera, also in order to preserve the distinctive culture of the west Sumatera to the next generation. 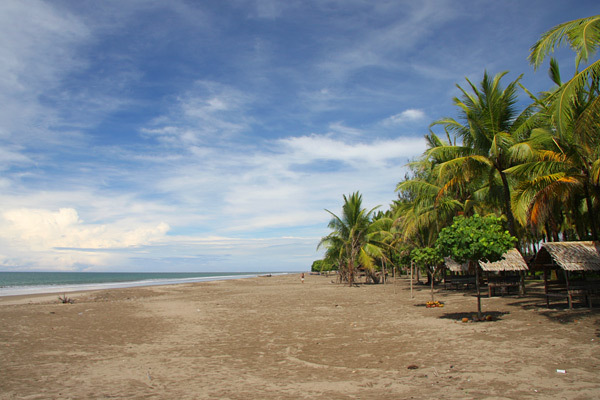 AIE Manih beach or familiarly known as Sweet Water Beach is one of the popular travel destinations in West Sumatera. 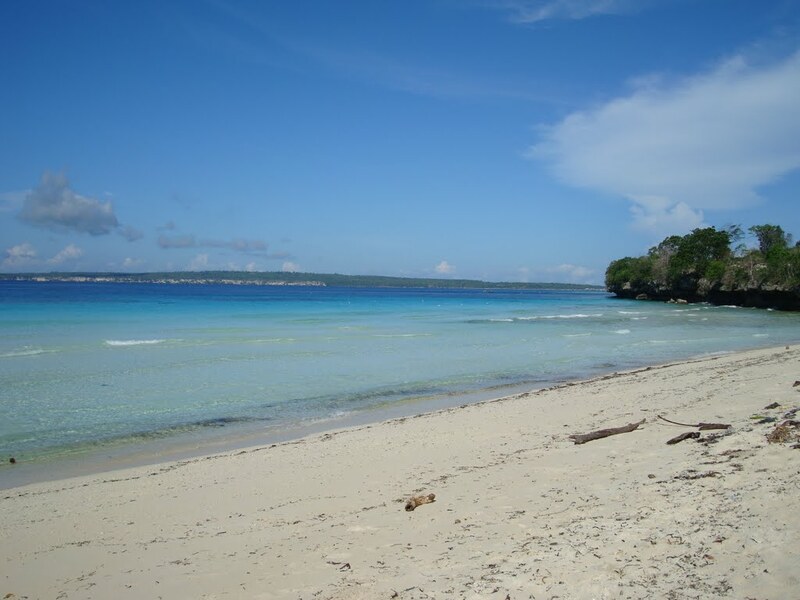 This beach is famous with its legend called Malin Kundang. Malin Kundang tells the story about a child who does not recognize his own mother after he became a wealthy man. He was then condemned to stone, and the stone is in the AIE Manih beach (Sweet Water Beach). 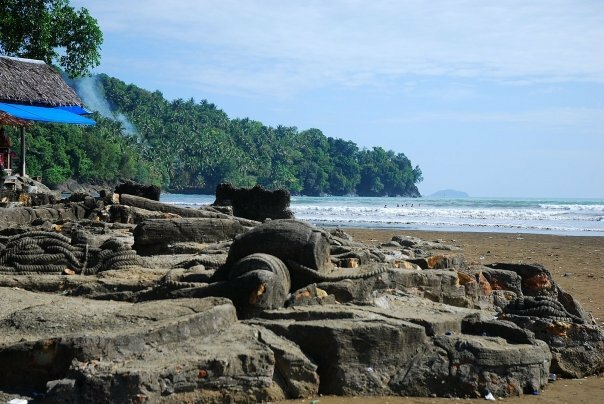 In addition of its famous because of the legend, this beach also offers beautiful scenery with Mount Padang as the background, as well as the wave that is safe for beach tourism. Nirwana beach is located approximately 14 KM on the south side of the West Sumatera. The beach is located not far from the Port of Bayur bay is one popular travel destinations in West Sumatera because of the easy access, close distance, also the fresh atmosphere offered. The best time to visit to the Nirvana Beach is in the afternoon, so that you will be able to enjoy the beautiful sunset continued with a view of the spotlight from the Harbour of Bayur Gulf. It is located 17 KM from the city of Padang, Jambak Sand Beach is one of the popular travel destinations in West Sumatera which are preferred mostly by young people since it offers a beautiful and romantic panorama, especially at sunset. It only takes about 30 minutes by motorcycle to reach the place, Jambak Sand Beach is a favorite for the people to obtain peace of mind. You can visit this place by car for 3 hours from the city of Padang. The distance is approximately 140 kilometers to the north. 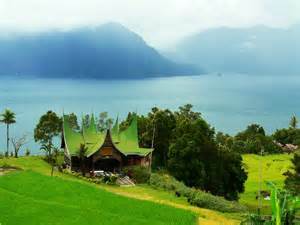 This beautiful lake is the third largest in the region of Sumatra Island, after Lake Toba which is the pride of the city of Medan and Singkarak Lake. It is the very famous tourist spot in the world especially after successfully organizing cycling competition known as the Tour de Singkarak. 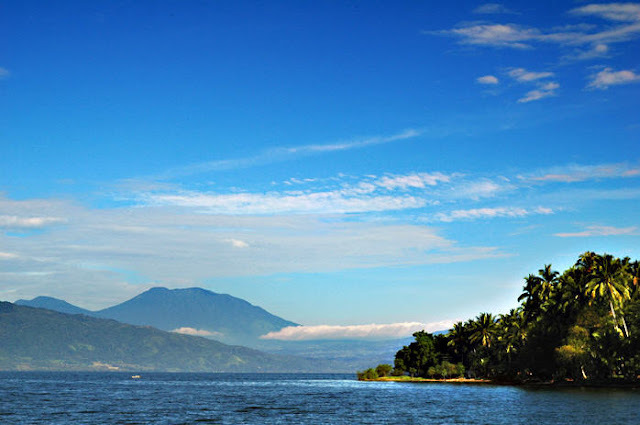 As the largest lake in West Sumatra, it is located in two districts named Solok and Tanah Datar. 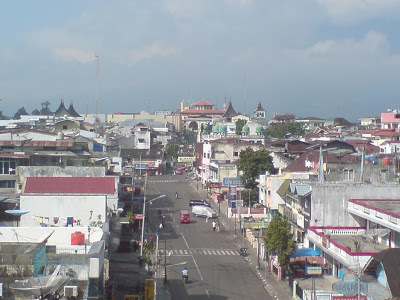 The city became second famous city after Padang. 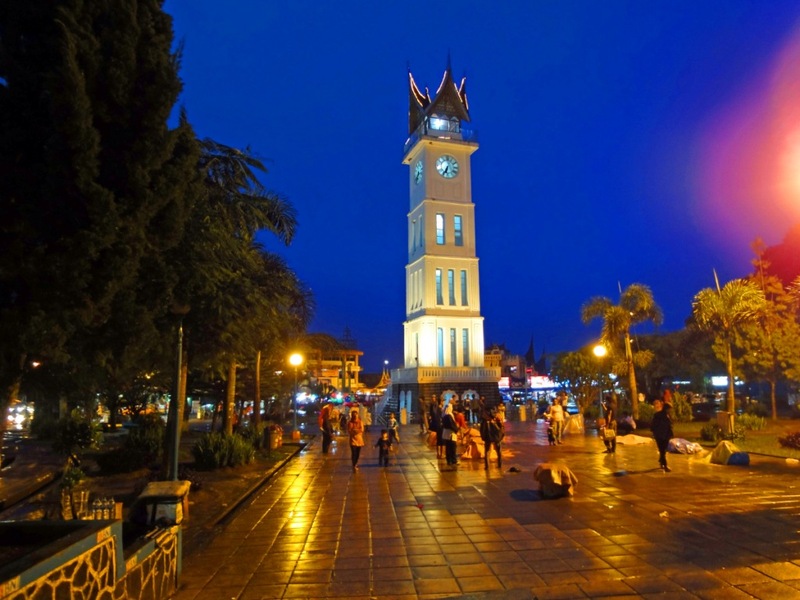 This historic place is one of the cities that was once became temporarily the capital of Indonesia in 1948. One of the tourist icons in the city of Padang that is located in the town square of Bukit Tinggi city. Steep valleys with deep ravines are very beautiful natural objects. It has 15 kilometers of the long canyon with a depth of ravine reaches 100 meters.